Huawei (华为) and China Mobile (中国移动) completed the first end to end test on February 1. The test is finished on site in the city of creativity and entrepreneurship Hangzhou, which marks the new step of 5G. 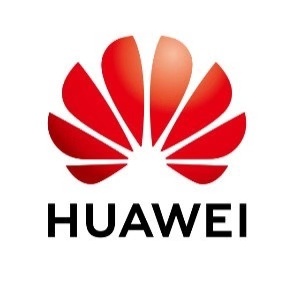 According to China’s information and technology media C114, Huawei (华为) and China Mobile (中国移动) completed the first end to end test on February 1. The test is finished on site in the city of creativity and entrepreneurship Hangzhou, which marks a new step in the 5G era. Huawei’s latest commercial chip Balong 5000 contributes to the test. The China Mobile and Huawei end to end test is related to the 5G network construction, which influences the application of 5G network. This time, China Mobile and Huawei choose the method of standalone (SA) networking. The other method is called Non-standalone (NSA) networking. The writer will now describe the major 5G networking differences between SA and NSA. To be brief, SA builds the end to end 5G network, whereas NSA refers to the co-networking of 5G and LTE. That means, SA adopts the end to end framework, then the terminal, new wireless interface technology and the core network directly apply to the 5G standard. Besides pure 5G construction, NSA dual connects the LTE and 5G, which is normally called the tight-networking of LTE and 5G in the communication industry. The tight-networking have multiple choices to connect LTE and 5G, for example, the core network can be applied with different methods like EPC and NGC, and the combining logics are totally different. Apart from the difference in the inner logics and essential difference between SA and NSA. When it comes to the physical world, the applications of infrastructure are totally different as well. Combining with LTE network, NSA can directly use the 4G base station and upgrade it to adapt with 5G network, which could save money and time for the construction. However, the lag of LTE and 5G may cause difficulty in 5G upgrade. On the other hand, it is obvious that SA network means the supplier should build new 5G base stations. This may cost more in a short period of time, but the constructions could fit 5G technology perfectly, which could minimize the risk of 5G application in the long run. The more challenging method is always more attractive and leads in the direction of a brighter future. The China Mobile and Huawei 5G end to end test mainly for the SA networking. In the test, there should be a successful connection between 2.6GHz SA commercial chip and the network, and the 5G download speed should reach 1 Gbps. So far, this is the first test of SA networking, which indicates the application to build SA networking and infrastructure in the future. China Mobile and Huawei both provide the best techniques in this test. China Mobile provides its 5G core network located in Beijing. 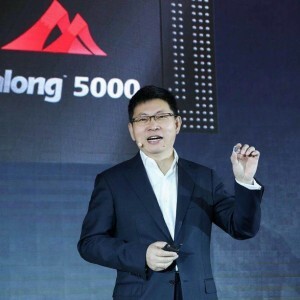 Huawei provides its 5G commercial chip Balong 5000. This is the latest chip Huawei debuted on January 24,2019. The communication industry is surprised by this chip and its fascinating for the geeks. This is due to Balong 5000 being the first commercial 5G chip that can be applied to NSA and SA framework, and it can support the full spectrum of NR TDD and FDD. The chip represents the remarkable time that China and Huawei has the ability to lead the 5G commercial chip in the world. Combining the latest Chinese technology, the China Mobile and Huawei end to end test shows China is marching to 5G era step by step.